is a 501(c)3 private, non-profit educational organization dedicated to fostering public appreciation, knowledge, and wise stewardship of both the agricultural and wildlife resources of Texas. We strive to cultivate a conservation ethic in students, teachers, and the general public through hands-on interaction with the wildlife and habitats found on our 100-acre working farm. We are licensed by Texas Parks and Wildlife Department, U.S. Department of Agriculture, and the U.S. Fish and Wildlife Service. I can’t wait to come back and visit with my family. It is a wonderful place and all for a good cause! 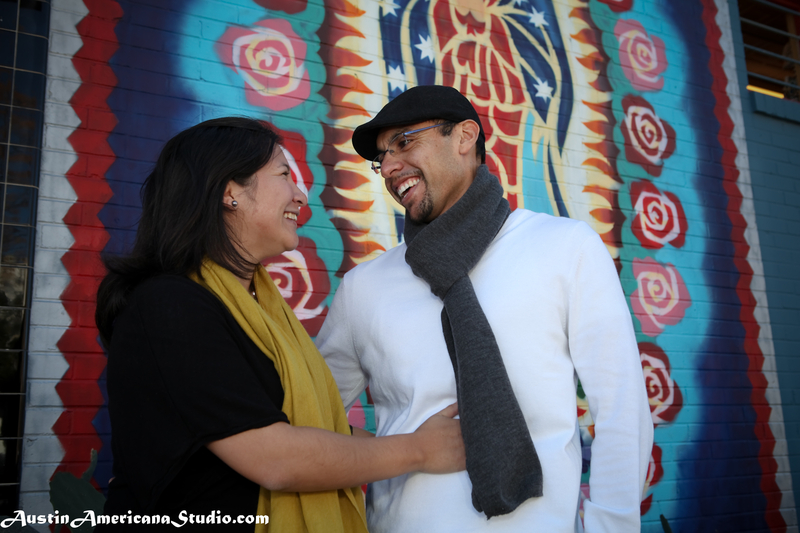 Check out a few of the great engagement photos from my session with newly engaged Natalie and Bryan! Today, brides have lots of options and an abundance of quality when it comes to albums. You can 100% control of the design and final outcome of your album. Want it to look like a magazine or high-quality coffee table style display book? No problem. Want a traditional leather-bound album? The options are infinite! One other nice option that’s available to brides is what Austin Americana calls the engagement guestbook, which is much like the one depicted here. It’s a book that we can design and print for you with custom images from your engagement session, or you have the option to do it yourself and tell your own story, much like the newlyweds did here at a recent wedding I photographed. Have questions about what you can do and how much? Email us at AustinAmericana@Gmail.com – It very affordable and requires little effort on your part, and makes a beautiful addition to your wedding day! Ever Been Asked To Snap A Photograph, While Being Photographed? 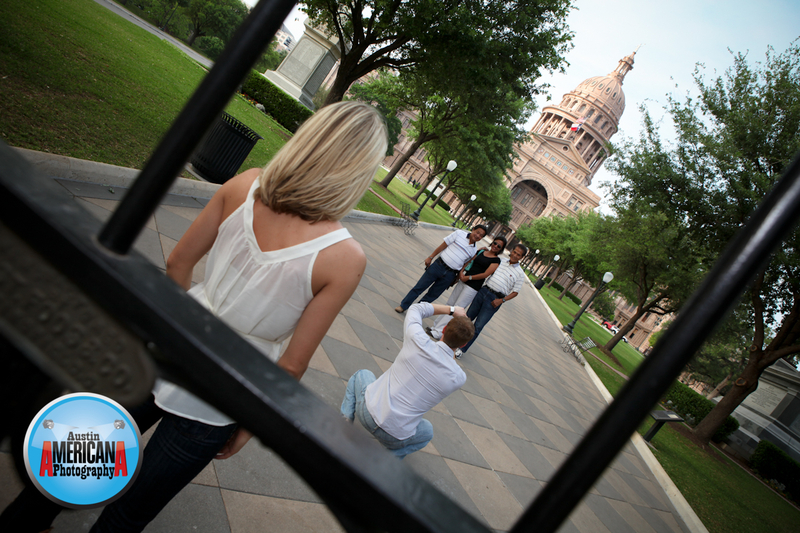 So What do you do if you are a newly engaged couple who’s soon to be married, you’re out at the Austin Capitol (downtown Austin) having your wedding photographer shoot your engagement photos and someone approaches you and asks you to snap a picture of them? Well this is the funny situation that occurred recently as I photographed a couple’s engagement session downtown at the Capitol. Both I and the couple that I photographed were caught off-guard as the new visitors to the capitol politely asked to have their photo taken. 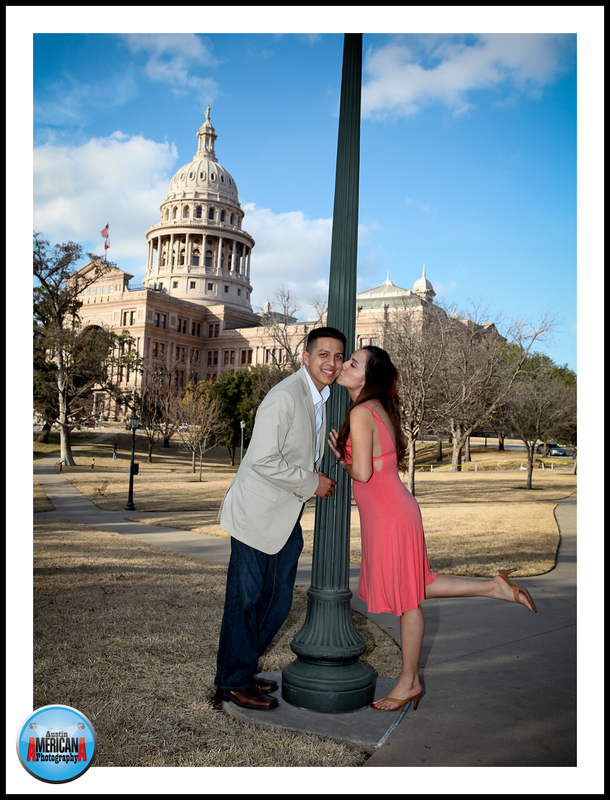 But to the credit of my engaged clients, they handled it with a laugh and lots of style, obliging the photo op request, even as it interfered with the romantic moments that I was attempting to capture of the two love birds together on the capitol grounds. After shooting weddings and other events for a number of years, I’ve learned that as a photographer you never stop shooting, even if it seems like things have gone off track or things that are not planned are happening; And this event was no exception. I snapped the photo below of the groom-to-be snapping the photo as his fiance’ looks on. We were positioned at the south entrance to the Texas Capitol. And I have to admit that these unplanned interruptions sometimes make things more spontaneous and exciting! Q. Do you photograph engaged couples for engagement portraits? A. Yes! 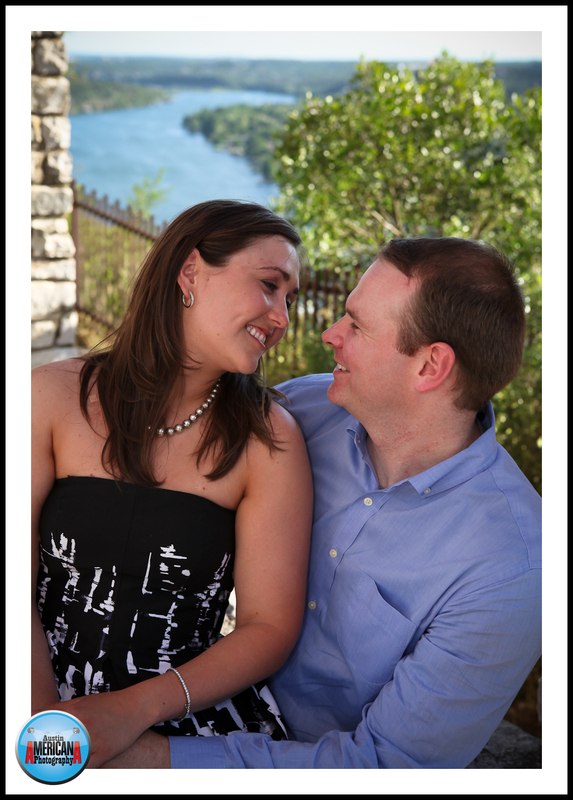 We have lots of experience photographing couples in Austin, Round Rock and surrounding Hill Country for a special photography session including just the 2 of you. Q. Where will you photograph our engagement session? A. 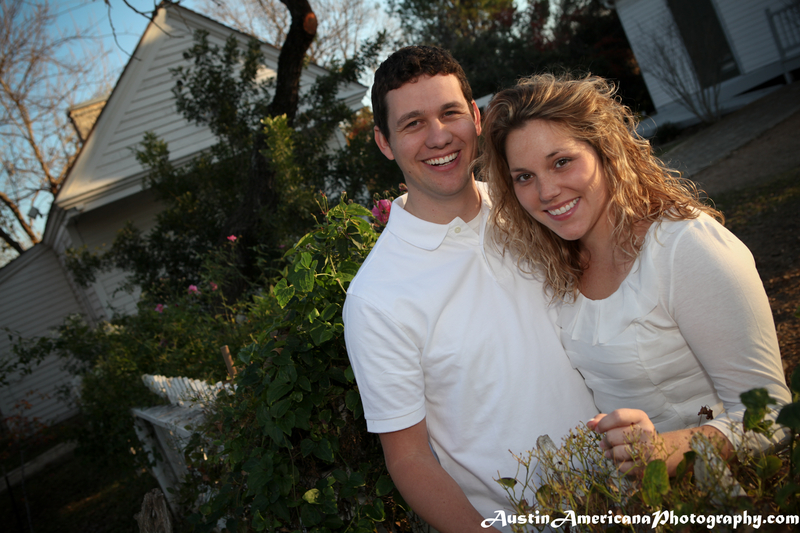 You can choose wherever you’d like to be photographed, preferably in the Austin, Texas or Central Texas area. Q. I’m new/unfamiliar with Austin, Texas. Can you suggest some nice locations for our engagement portrait session? A. Sure! 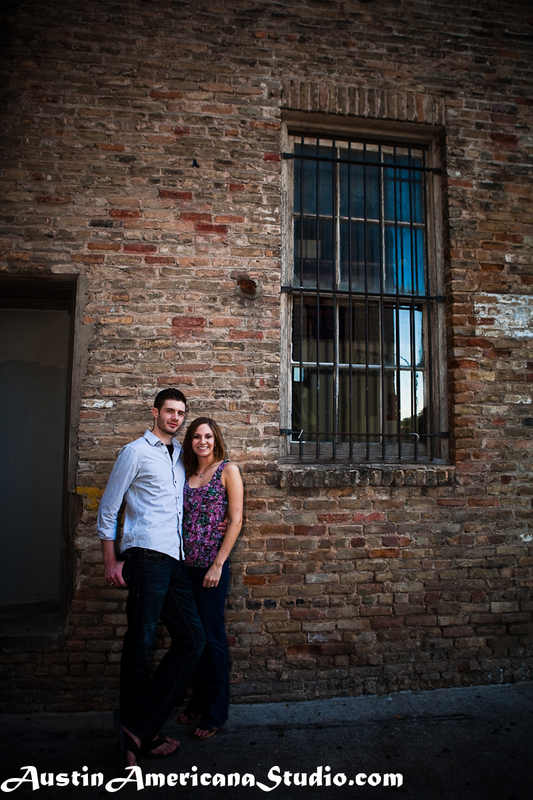 We have a list of about 20 popular photography locations in and around Austin that we share with our clients. 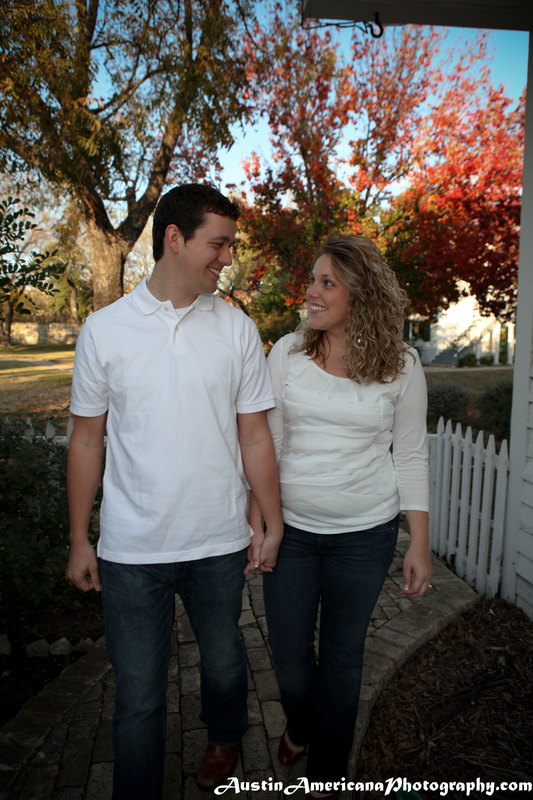 We can also give you specific suggestions based on what kind of engagement session you want. Q. 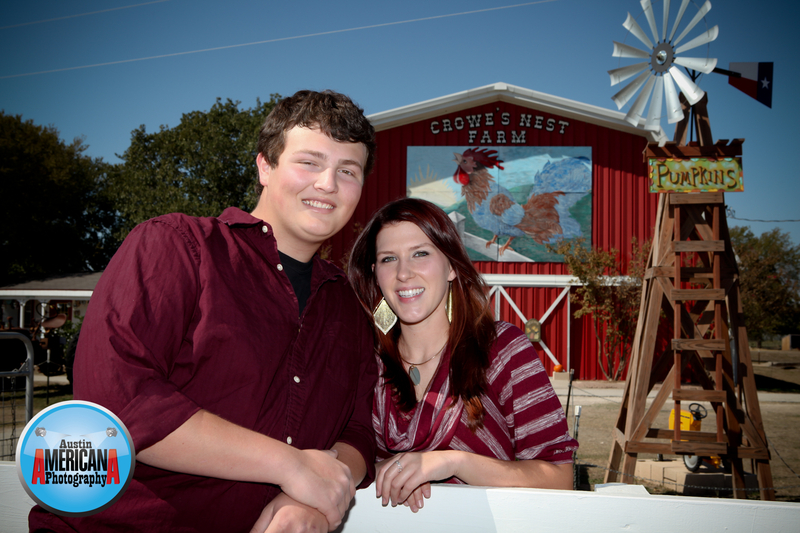 How long does the engagement portrait session last? A. Our Austin engagement session is 60 minutes long, which normally gives the engaged couple time to relax, get into the moment with their partner (we call it “feeling the love”) and get lots of great poses at the location of their choice. Q. Does the engagement photo session include a separate CD of images I can keep? A. Yes. 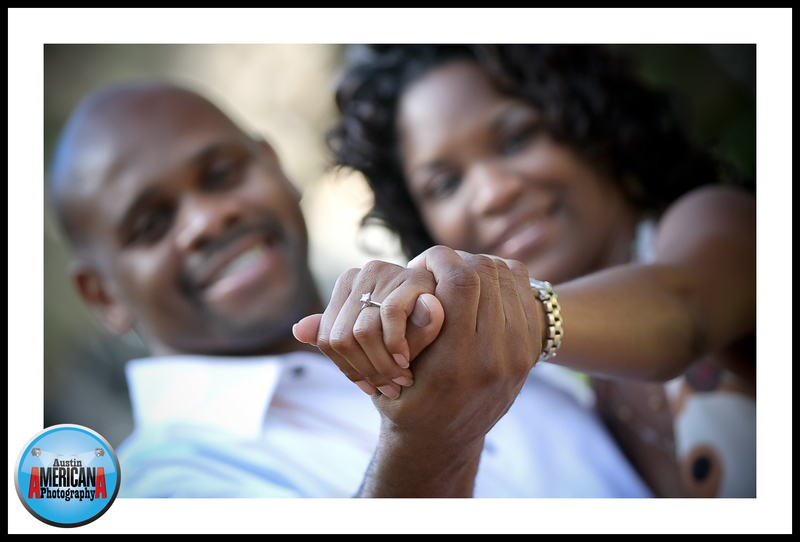 Couples receive a CD of edited, re-touched images (usually ranging from 50-150 full-sized, hi-resolution images). Q. What all is included with my engagement photo session fee? A. Our engagement session clients receive 60 minutes of shooting time, a CD of hi-resolution, edited images, free consultation to plan your event, expert shoot location suggestions, and quality personal service from a local Austin small business owner/photographer. Q. Do you edit the images? A. Yes, we individually edit all the images from your engagement photo session with Adobe Lightroom 3.0, the industry leader in photo editing. We can also apply artistic filters to your images, remove blemishes from skin, soften features and lots more. Q. How long does it take to edit the images? A. Normal editing of images requires 1-2 weeks. Q. 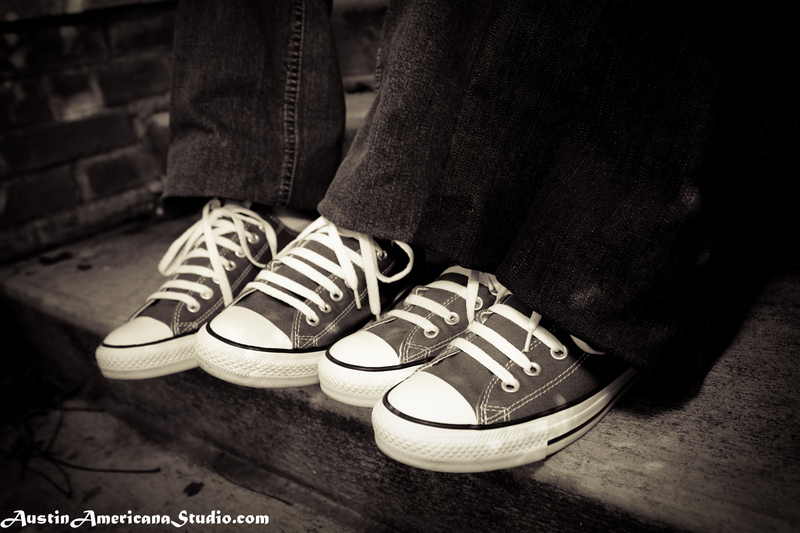 Do you have wedding photography packages that include an engagement session? A. Yes we do. 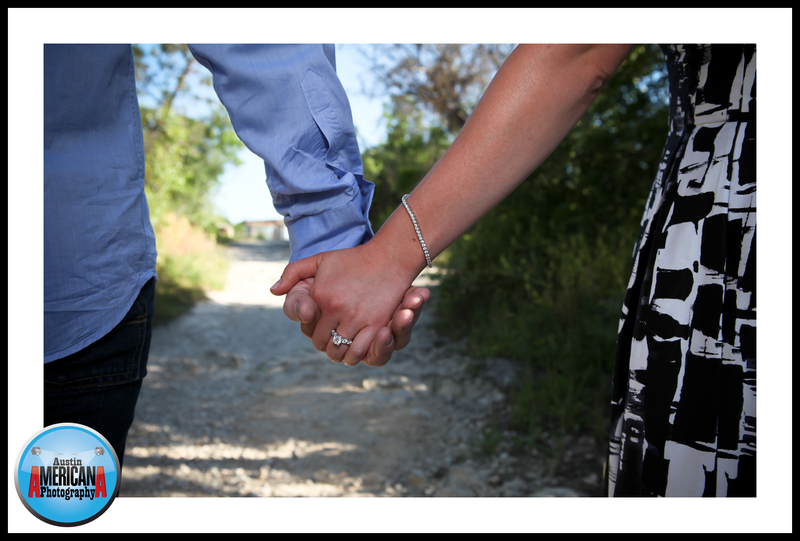 We have a number of wedding photography packages for Austin brides-to-be that include engagement sessions. In fact, you can also customize any package to include a engagement photo session so that your package is custom fit for your big day. Q. Do you print the images from the engagement session or is it up to me? A. It’s up to you. We have the ability to create and ship high quality, professional and stylish prints to your door, if you choose. You also have the option as a bride to print anywhere you desire. Q. Do you work with an assistant at engagement sessions? A. Occasionally we bring along an assistant to help out with engagement photo sessions, depending on the circumstances. You may bring along friends and family if you like. Q. Are there extra fees associated with certain locations for my upcoming engagement session? Q. Will I have the opportunity to incorporate some of my engagement photos into my regular wedding album? A. 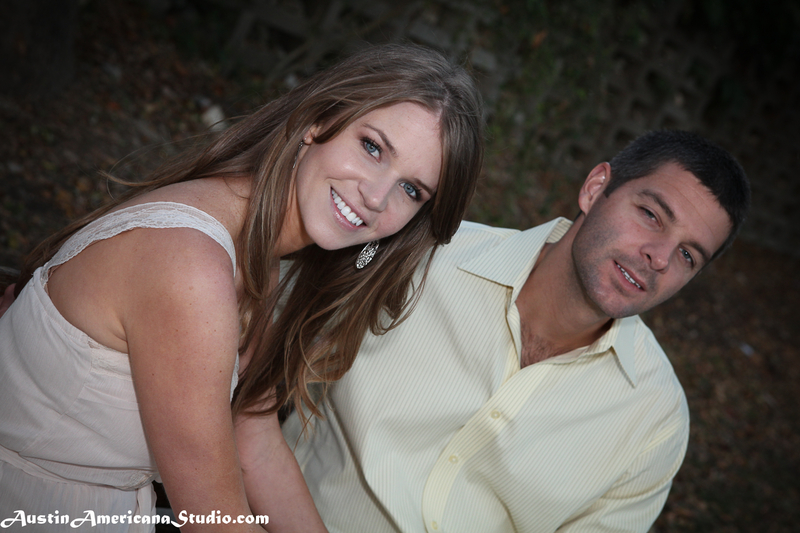 Yes, we can incorporate as many or as few of your engagement session photographs into your wedding album. 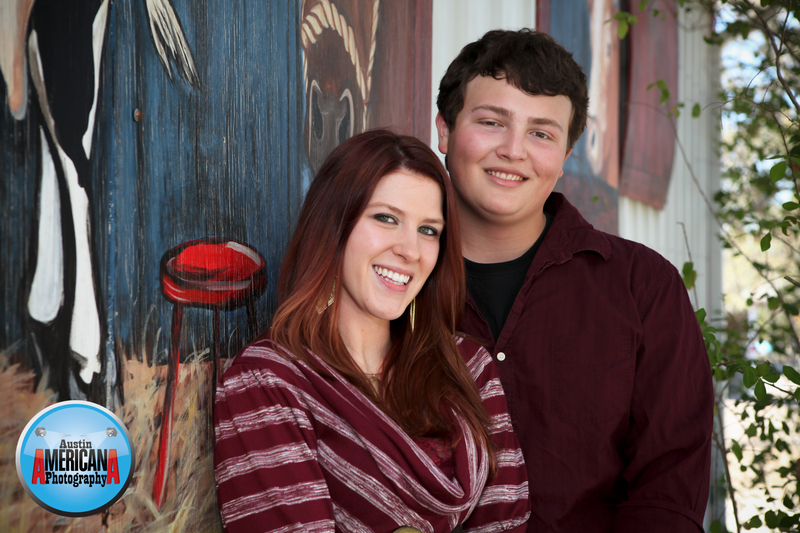 We can also create a separate album of only engagement photos if needed. We have a wonderful special album which we call the “Engagement Guestbook”. It’s different in that it’s a stylish album full of your engagement photos but it leaves space for your guests to write. The engagement guestbook gives you something special to show off on wedding day! Just ask about our special sale pricing on this item! Q. 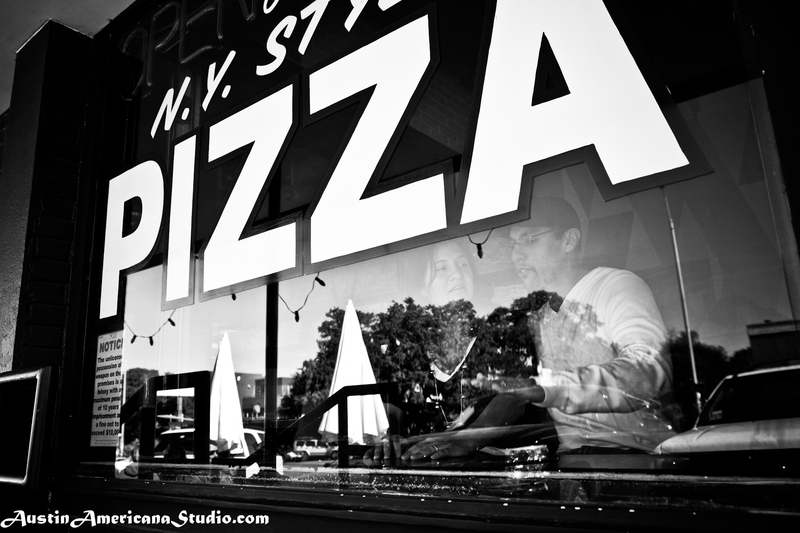 Does Austin Americana Photography provide printing and framing service? 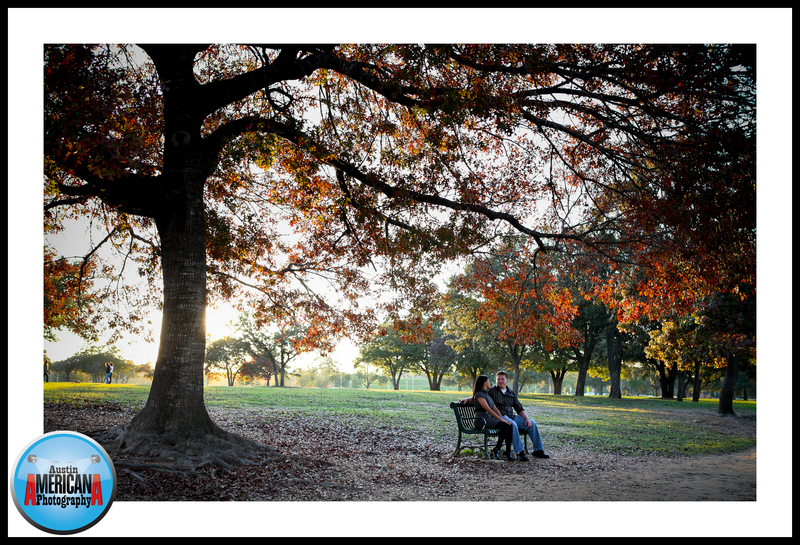 Will you deliver a print or framed print of my engagement session on wedding day? A. Yes, we can do all these things. We provide optional printing and framing services for our wedding clientele. 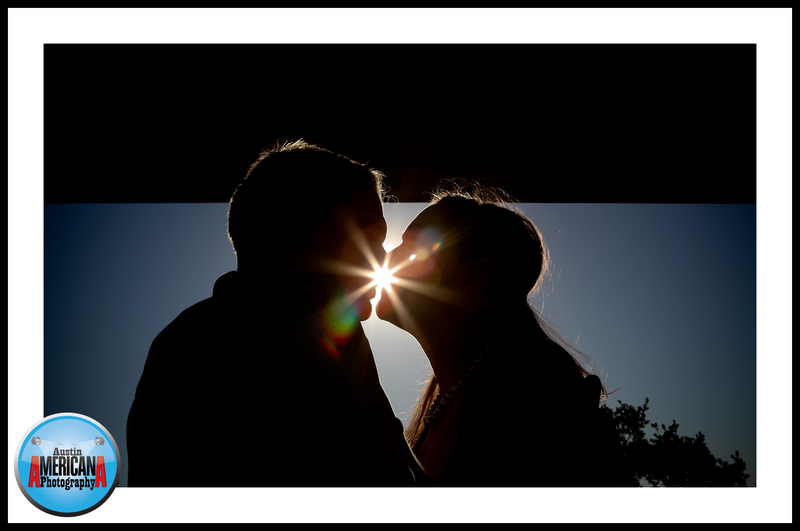 We can deliver a framed print of your engagement session on your wedding day if this is what you desire. Q. What if the weather is bad. Is there a backup plan for my session? A. Sure. If you don’t want to re-schedule, then we’ll either have you come into our home studio or choose an alternate indoor location. Q. 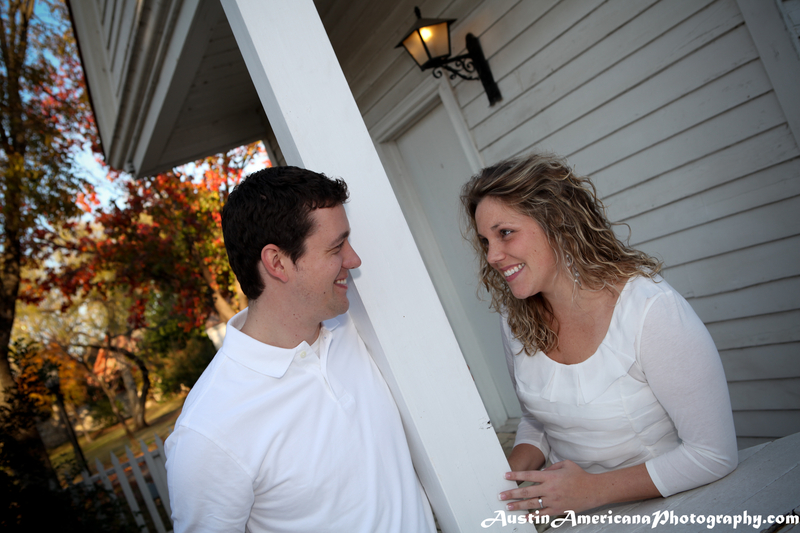 When should I schedule my engagement photo session with Austin Americana? A. We ask that you schedule your engagement photo session a minimum of 2-3 weeks prior to your wedding day to allow for image editing, processing, printing, shipping, etc. A few weeks ago, just before the holidays, I photographed a mini-engagement session for some new friends at Austin’s French Legation. As I mentioned before in my other blog, the French Legation is significant in many ways; in 1839 France recognized The Republic of Texas as an independent nation and entered into an alliance treaty with the new republic. France soon sent a special envoy to Austin, Texas – Jean Pierre Isador Alphonse Dubois de Saligny with the special title of chargé d’affaires. He wasted no time contracting the building of the French Legation to Texas, which still stands in the hills just above downtown, east of IH-35. The couple selected the location from my “Recommended Austin Locations” list that I share with clients and they loved the place. It has great views of the city, plenty of greenery (and in this case, colorful fall/winter leaves too), as well as the historic houses which have been standing for 100+ years. 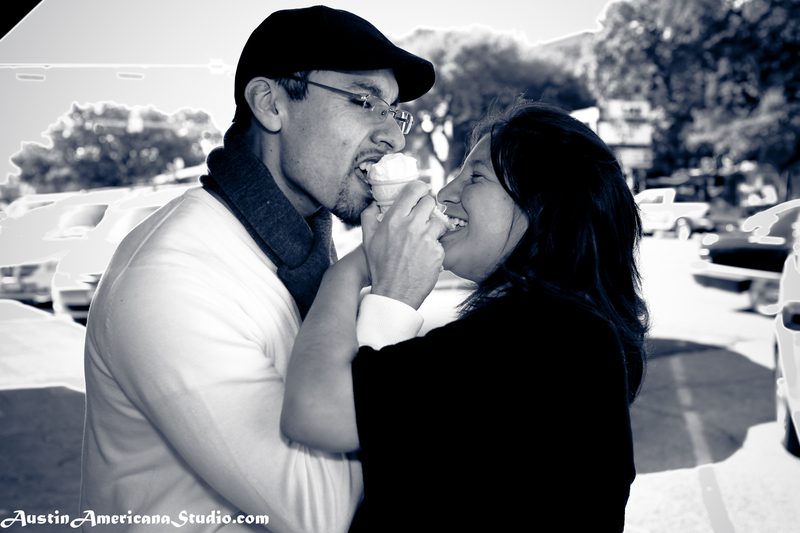 Through a promotion that Austin Americana ran a few months back on Localiter, I had the privilege of meeting Angelica and Cesar, a cute couple with a great story and a lot of affection for one another. They met while she visited Chile (he is from Chile, she from Texas) and fell in love. 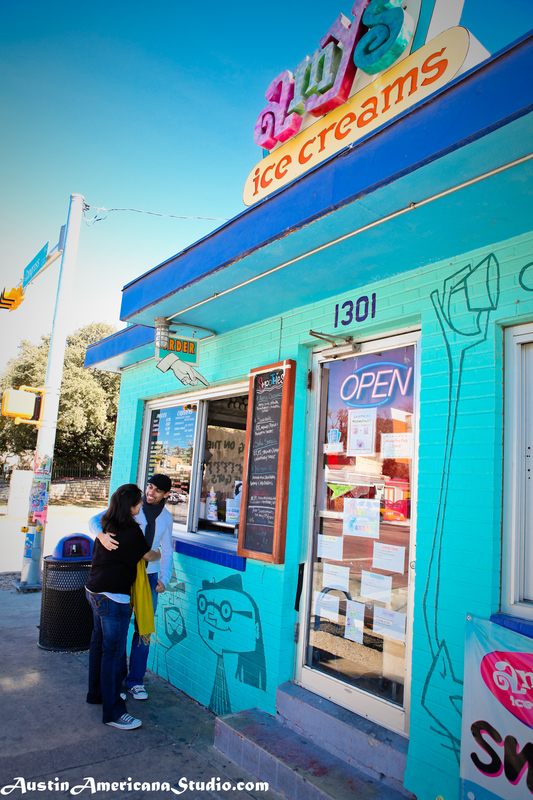 Now they both live in Austin and love the South Congress area (SoCo, as it is lovingly referred to by locals). To them, SoCo represents all that is weird and fun about Austin and it’s a place where they’ve had some special dates together. And what else could a person want? There are resale shops, famous hotels (Hotel San Jose), festivals/First Thursday, pizza (Home Slice), Ice Cream (Amy’s), and so much more. 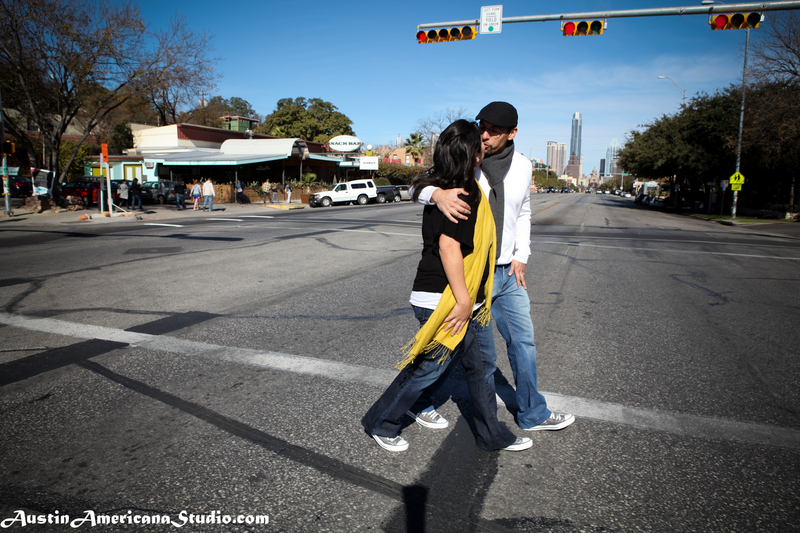 So naturally the couple decided that South Congress should be where they get photographed for their engagement session. There’s a nice little park in Round Rock, just off of IH-35 and 620 called Memorial Park that makes a great location for photos. It has lots of great elements: lots of trees, a small lake, a waterfall, ducks, a wooden/iron pedestrian bridge, big rocks (“the” round rock in the cities name) and more. And it makes a great alternative to driving into Central Austin. 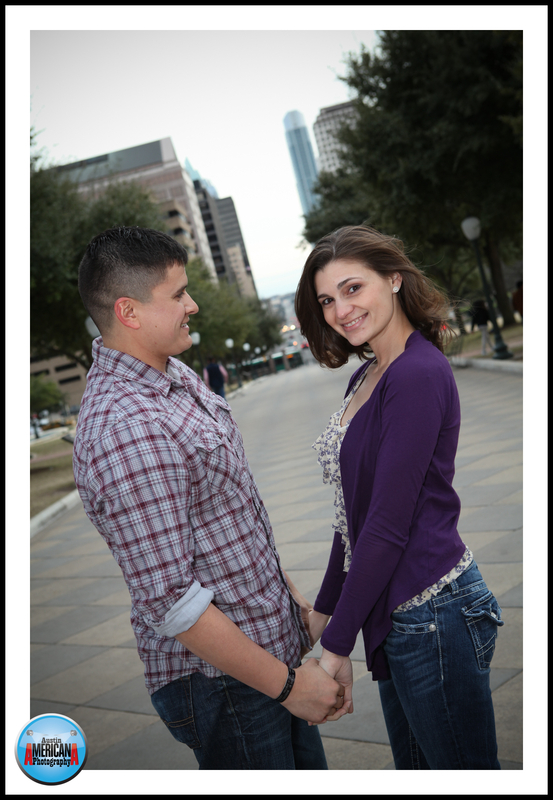 Last week I met a couple at Memorial Park to capture some “newlywed” photos. I call the photos “newlywed” because the couple I photographed have been married for a short time. Normally I photograph lots of couples who are newly engaged and soon to be married, so this was something new. The neat part of this story is Memorial Park, our photo location, is significant to the couple because this is where they originally got engaged!